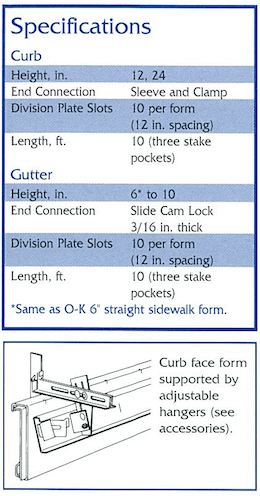 0-K forms are easily adaptable to any type of combined curb and gutter setting. 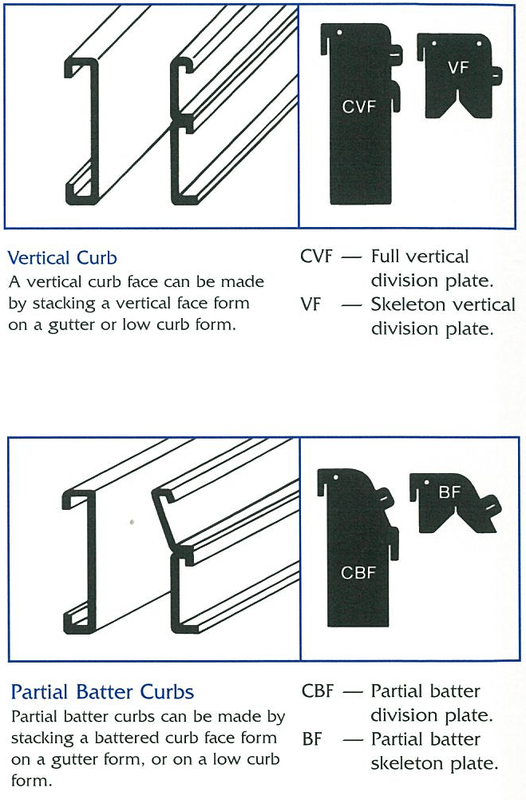 The type of setting determines how the curb face form is supported. 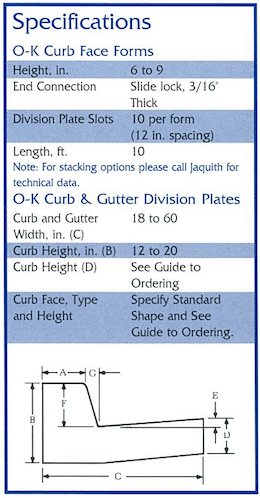 A mountable curb and gutter is set up in a similar manner except no face form is required. 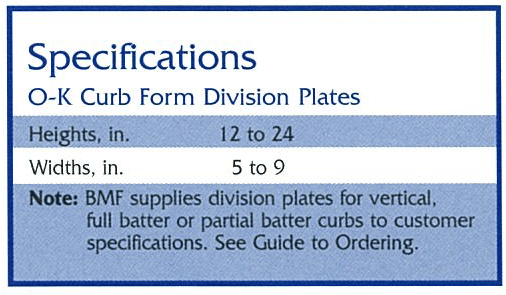 On projects with division plates, the curb face form is securely locked to the division plates by the taper keys. 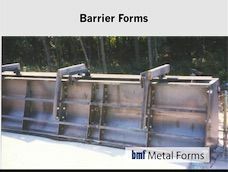 Thus the curb face form may be entirely supported on two full division plates, or a combination of one full and one skeleton plate. 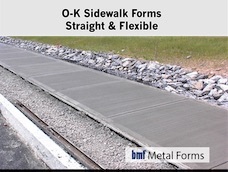 Or, the curb face form may be entirely supported by a minimum of two skeleton (false division) plates spaced every five feet. 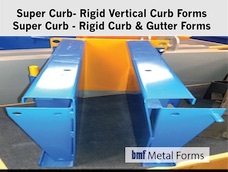 On projects where specifications require no breaks or scoring, complete suspension (without division plates) of the curb face form from the curb form (back) is accomplished by the use of two Adjustable Hanger accessories which hold the curb face form rigidly in place. 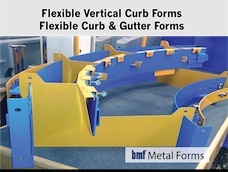 BMF manufactures a complete line of 0-K Curb Face Forms for a combined curb and gutter setting. 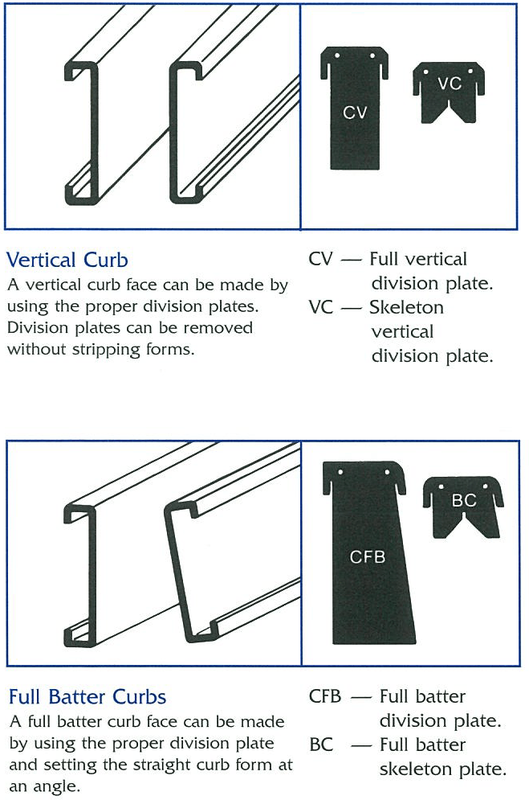 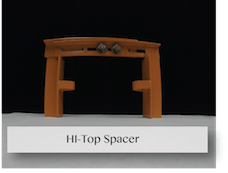 Standard shapes that meet most specifications are illustrated below. 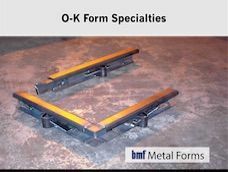 However, any type and size can be supplied on order. 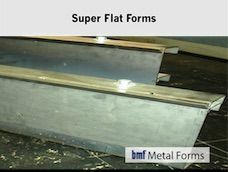 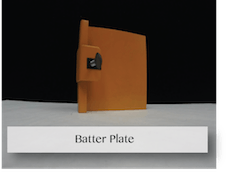 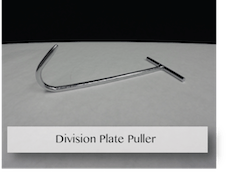 In the combined curb and gutter form setting, the curb face form is the one that "takes the beating"; it is essentially a suspended member, depending on division plates or adjustable hangers for support. 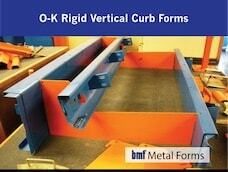 Therefore, the curb face form must be ruggedly constructed, and designed for rigid support. 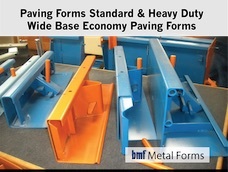 BMF engineers have taken these service factors into account. 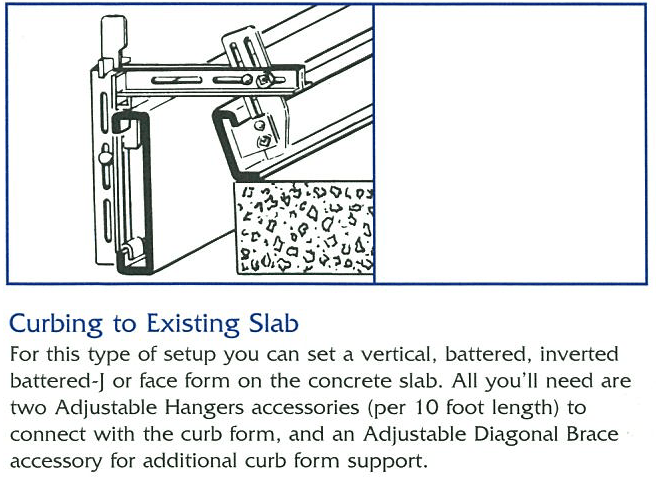 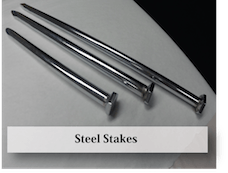 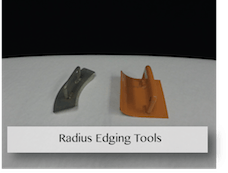 0-K Curb Face Forms include the rugged and positive slide lock assuring ease of joining forms and rigid alignment once the slide lock is tapped into place.